Kamothe Police found a lost drone inside Maruti Tower, which was reported to have been missing for more than two weeks. An expert from the Pillai Engineering College checked the drone, which was supposed to be transferred to the Indian Navy by its manufacturer, IdeaForge Technology, from Mhape, Navi Mumbai, India. A resident of Maruti Tower informed law enforcing agency about the drone. “After receiving information about drone from residents, I went there and found it in broken condition. We called an expert from Pillai College of Engineering, Prof. Sridhar Deshmukh, for his opinion. After investigation, we found that the drone is manufactured at IdeaForge Company,” said Janardan Parte, PSI, at Kamothe police station. It was missing since two weeks prior to finding it. A company was searching for it. Assistant professor at Pillai College of Engineering assembled the broken camera, serial number, and circuits from experience, and reported to the police. The drone lost signal with its controller and landed badly. An executive of IdealForge declined to comment on this situation. 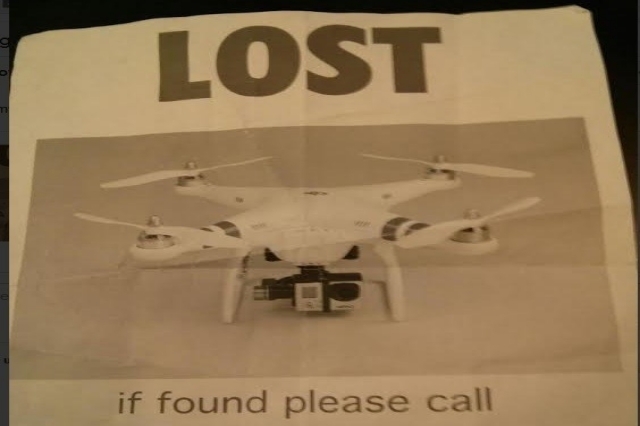 A well-equipped drone found in Middletown is still unclaimed. According to police statement, it was found near a home on Struthers road. “It landed in the back yard next to a dog but it didn’t cause any problems with the dog,” said Sgt. Ken Goist from local police department. Sergeant Goist said that even though the drone is small, it is capable of inflicting an injury. It is made of plastic, but again a plastic that is hard and can cause damage when traveling at high speed. There was a blank memory card inside it. Apparently, the operator wasn’t recording while flying it. According to a government survey, an estimated 400,000 people found drones near their Christmas tree last year. Chuck Allen, who runs a hobby shop in Truck World Mall, said he sold over 200 drones. Under a new regulation, drone owners had to register their devices before February 19. 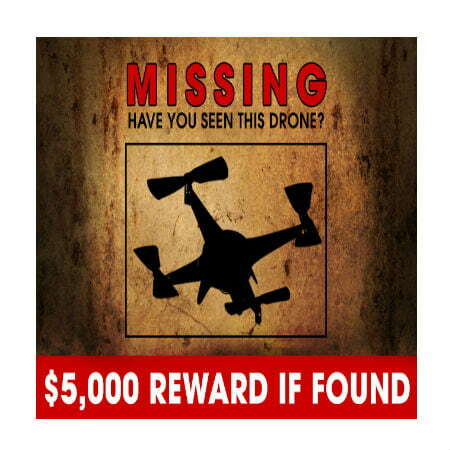 “If you go on their Web site, it will tell you whether your drone needs registration or not. I don’t think the Web site is quite up to date yet, there’s so many of these on the market now,” said Allen. Owners must register using their real address and name. You will be issued a sticker for the drone. It is free for initial 30 days, after that there is a $5 fee. The drone found in Middletown doesn’t have identification so police was unable to recognize where it came from. “We’re still looking into the make and model to try and find out some more information about the distance they can fly,” Sergeant Goist said. According to Allen, this lightweight drone must have been caught by the wind and has come from a mile away from its landing position.